We invite you to our third design meetup. 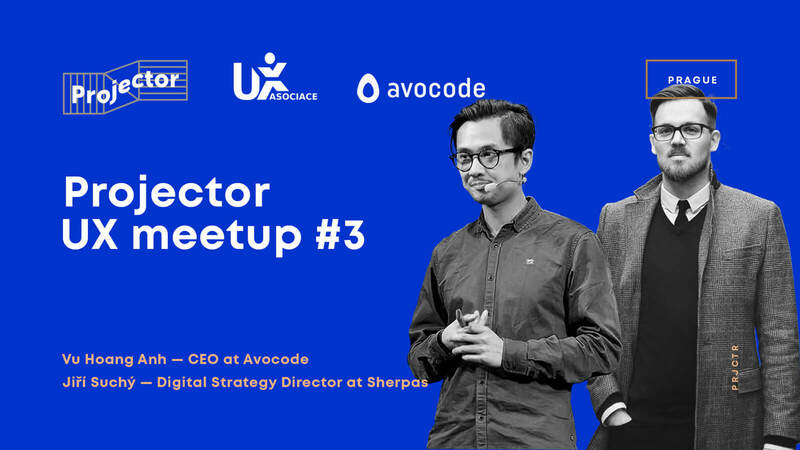 This time we'll meet in a cool Avocode office. And again we'll have two great speeches from two awesome speakers. The first one will be Vu Hoang Anh (CEO at Avocode). Vu will be talking about how he and his colleagues were trying to solve their design to code workflow and ended up building a product instead. He will go through the bottlenecks of various types of workflows and how to solve them. The second speaker will be Jiří Suchý (Co-Owner, Digital Strategy Director at Sherpas). Jiří's topic will be "How to kick-start customer journeys and start managing your customer's experience for dummies". We will discuss a practical look at building customer journeys from scratch and their utilization for building a better business.